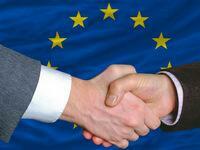 Is the EU beholden to lobbyists? How much influence do interest groups have on EU legislation? Experts are divided, but the online platform LobbyPlag sees a lot. Sometimes, they say, MEPs even copy and paste directly from lobby proposals. Drafting a new law for some 500 million EU citizens can be a rather daunting and complicated task. So, in order to do the job properly, it seems to make sense for parliamentarians to consult experts on the various options and proposals. Yet, those experts are not always as unbiased as they should be. When they provide advice with the interests of a certain company or organization in mind, then you' have what is known as lobbying. 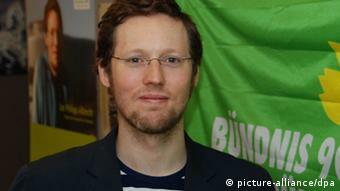 Green Party member Jan Philipp Albrecht, spokesman in the EU parliament on efforts to reform the bloc's data protection laws, just recently complained that companies are all too eager to get their positions and interests taken into account by parliamentarians. More eager than other groups; for instance, NGOs. Albrecht himself has received nine times as many invitiations from lobbyists than from other interest groups, he said. And some MEPs seem to be easier to influence than others. That, at least, is according to Marco Maas, one of the people behind LobbyPlag, a group that has provided an analysis of MEPs' motions to have EU legislation changed. Those motions often contain entire passages that are simply copied from lobby group proposals. If you compare the number of such copied passages coming from companies to those coming from NGOs there's no mistaking that the influence from companies is "much, much bigger than that of NGOs, " he says. However, political scientist Heike Klüver of Konstanz University has found in a large study that, in fact, there is no difference between the influence of business and industry and interest groups with charitable intent. 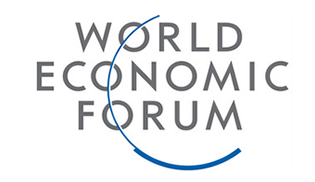 "There is often the suggestion that business groups are so much stronger and that it's those kind of interest groups that are influencing political decisions, while other groups hardly have a chance," says Klüver. But, research has shown that this is not true for the European Union. She looked at 56 new laws and compared them to how successful business and NGOs were in pushing their respective agendas. "There was no significant difference that I could find," she says. "If you look at it, parliamentarians have to decide on a large number of draft laws, but usually don't have more than a secretary and one or maybe two support staff or interns and then you can imagine that they need external advice as well." The fact that parliamentarians need advice is not something that Maas from LobbyPlag contests. But he is angry that drafts are sometimes changed much for the worse; for instance, in the case of the data protection law. "In the original draft there was the idea that a company from the US would have to abide by the strict European regulations if it wants to move here. According to the new draft, a company can choose which state it wants as the main seat of the company and then simply look which data protection laws suit it better." Strict rules are systematically being watered down, Maas warns. Klüver also has seen passages that are simply copies from lobby content. "In some studies, some of my colleagues have found such examples. But that is not a phenomenon exclusive to business interest groups. You see that also from NGOs," she explains. In general, lobbyists pursue two types of strategies, Klüver says: Outside and inside. The former is for media campaigns or demonstrations. The latter is to try to directly get in contact with the parliamentarians. "This can take the form of a statement and consultations, in normal, official, or workshop situations." Also there are the hearings in parliament and informal networks. "That's where you meet for lunch, or dinner, or organize a reception." From her perspective, lobbying is an important part of the public way of representing interest groups and also helps certain institutions to solve problems. The EU commission even has a lobby register. But, so far, it's not obligatory, Klüver criticizes. "No one can tell me what to do"
The EU commission has rejected accusations that there is a lack of transparency. "The commission never uses texts that possibly might have been handed to us by lobby groups," Frederic Vincent, a commission spokesman told DW via e-mail. All contributions from civil society would be published on the website of the commission and whatever influences there are in the final text submitted to parliament and council would be marked and identified as such, according to Vincent. 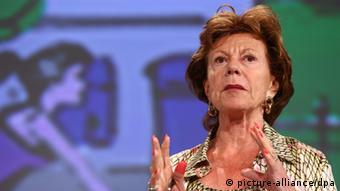 Neelie Kroes, the EU commissioner in charge of the bloc's digital agenda, has dismissed the criticism, writing via Twitter just this week that "no lobbyist tells me what to do, neither an American, nor any other."